Today we went shopping to get some back to school clothes and their school supplies. It is always an adventure shopping with these two!!! 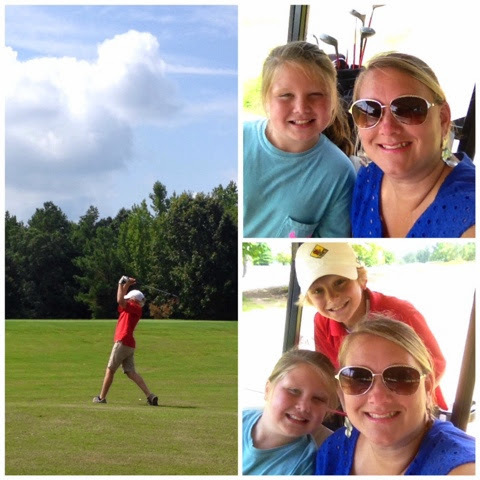 Jackson has been asking to go play golf for weeks so Brylee and I took him to play golf. He had fun playing golf and she and I had fun riding around in the golf cart. She wanted to know if she could ask for a golf cart for Christmas! Ha! ;) she is a mess! 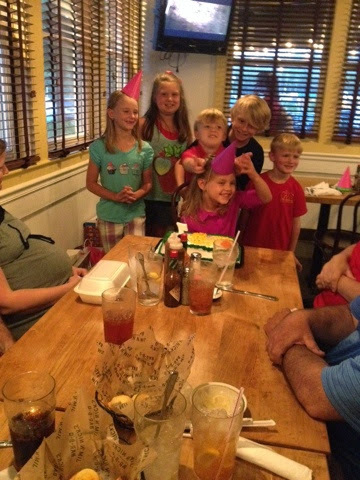 Cousin Katie celebrated her 7th birthday tonight. We all went to eat at Jim & Nicks to celebrate! 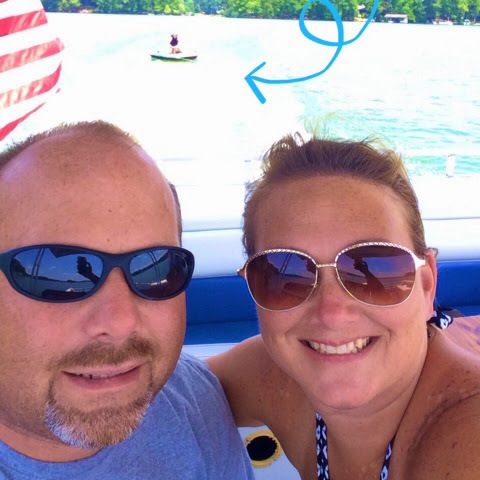 We decided to load up on Saturday and go to the lake for a quick last minute end of the summer lake trip. It was just us down there so the boat was nice and quiet. We would pull Jackson and Brylee on the tube and enjoyed riding around just us. 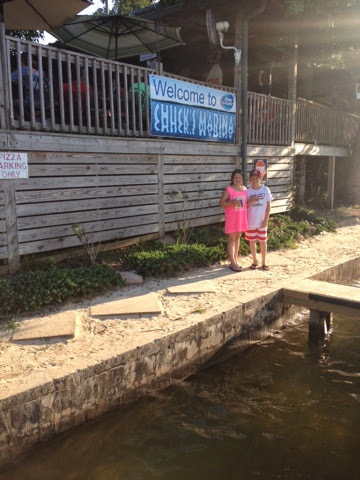 We also got a wild idea and decided to drive to Chuck's Pizza on the boat for dinner. It is about a 45min boat ride (one way) and since it was just us we decided to go for it. This is something the kids have been wanting to do for a long time. They were excited we finally got to do it. 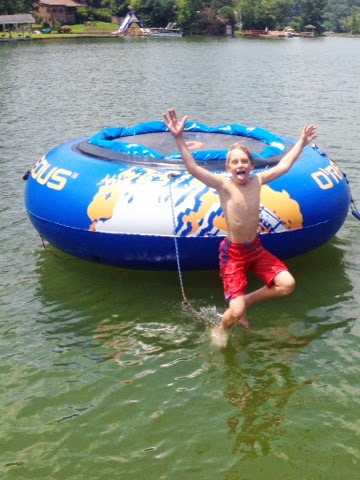 The kids were soaking up all the lake fun this weekend because we know these moments and lake weekends will be coming to an end. Our weekends this fall are so busy with lots of other activities and football so we want get to go again until maybe Labor Day and then that really will be it! 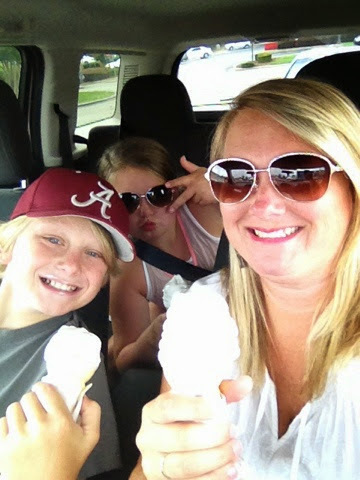 Summer goes by way to fast! 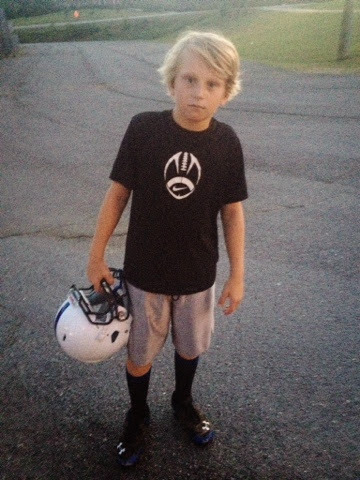 This tough guy had his first day of football practice tonight! It is so hard to believe that this is his last year he will play youth football then he will be playing school ball. The really do grow up quickly. The weather right now is unseasonably cooler. 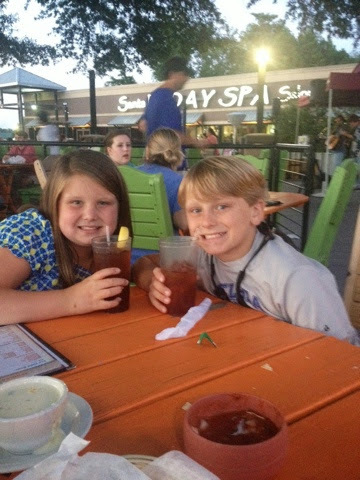 It was 75 degrees tonight outside so we headed to Pablo's to enjoy some mexican on the patio and enjoy the cooler weather. It was also haircut day for Jackson & Brylee!! They were much needed and welcomed! Jackson even said I can see now! LOL!!!! I have a hard time letting go of those long blonde locks!